This website is primarily concerned with the north of this scenic and architecturally-rich region. Now part of Occitanie, Haute Garonne was originally part of Languedoc and was one of the 83 departments that were established during the French Revolution in 1790. Much bigger in those days, it was reduced in size in 1808 when it lost Montech and Castelsarrasin to the new department of Tarn et Garonne. Named to reflect the upper course of the River Garonne which flows from Spain to Toulouse and then to Lot et Garonne, it also encompasses the Pyrénées mountains to the south. For a short while during the 15th and 16th centuries, the area became famous for its woad (pastel), a popular, deep blue dye which was grown in and around Toulouse. The balls of concentrated dye were known as cocques and gave the area its name of Pays de Cocagne. Les “Princes du Pastel,” otherwise known as the exporters, enjoyed quite a boom until the Wars of Religion, not to mention the arrival of indigo, put an end to their industry. 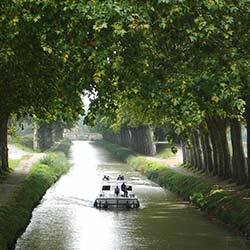 Today, the department is host to the Cite de l’Espace, the production of the Airbus and a thriving tourist trade in both Toulouse and on the Canal du Midi. Evidence from the region has been found dating back to prehistoric times, as well as the Iron Age and the Celts. Around 15 AC, the city of Lugdunum Convenarum became the capital of a sector within Aquitania. A change of name to Convenae followed in the 6th century but the town was virtually destroyed during the Frankish invasion in 585. It took the arrival of Bernard (or Bertrand) de l’Isle (St Bertrand) in the 11th century to change its fortune, bringing power and esteem under the four Bernards, the Counts of the Comminges. Eventually, around 1456, the Comminges became part of the French kingdom and still holds administrative responsibility as a sub-prefecture within the department. St Bertrand’s relics at the former Cathedral, Cathedrale Notre Dame de Saint Bertrand de Comminges near Aurignac, became part of the journey taken by pilgrims en route to the shrine of St James the Great in the Cathedral of Santiago de Compostela in Spain. Four routes leave from Paris, Vezelay, Le Puy and Arles and form the Way of Saint James (Camino Francés), the latter travelling through Toulouse and on to Auch. The pilgrims always knew they were on the right track and would be able to rest in safety when they came across the mark of a scallop shell or an odd number of cedar trees grouped together, a sure sign that they would be welcome. Tourism to the area comes from the hundreds of thousands of pilgrims who continue to travel this sacred route every year. Following the arrival of motor vehicles, it was decreed that they must either walk, cycle or ride their horse for the last 200km. A certificate is issued to all those who succeed in reaching their destination as long as they have collected the required stamps from town halls, hostels and churches along the way. 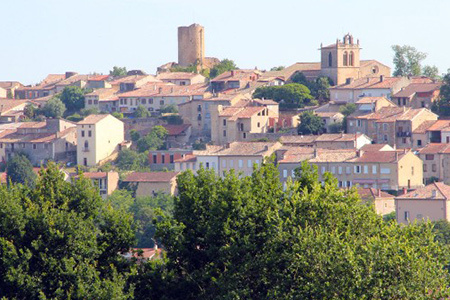 Muret is another pilgrimage stop and was once the capital of the Comminges. 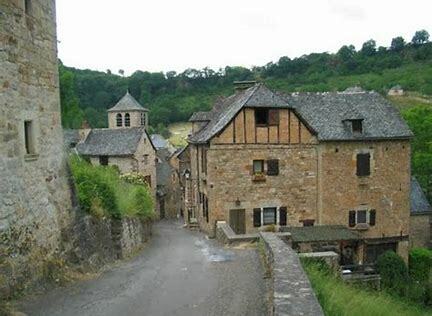 King Peter II of Aragon was killed here during the battle of Muret in the 11th century Albigensian Crusade when Catharism was abolished and Muret fell to the French. Much more recently it was the birthplace of Clément Ader, a French inventor and aviation engineer. Not only did he improve the telephone in 1878 but he went on to construct his first flying machine, complete with steam engine, in 1886 and managed to travel some 50m at 8cm above the ground. The french for airplane, “avion” took its name from his later efforts with the Avion Series of aircraft which were heavier than air. Avion III had the backing of the French War Office until a gust of wind blew the bat-like creation off its track and the steam-powered aircraft came to a sudden halt. That was it as far as the FWO was concerned but his ideas for the development of an aircraft carrier were taken on board by the American Naval Attaché in Paris, with the first trials being carried out in the USA in 1910. Today Airbus, one of the region’s biggest employers has an aircraft assembly site which is named after Ader. Following his flight path and based in Toulouse, Airbus is an international pioneer in the aviation industry, making commercial and defence aircraft as well as helicopters and space satellites and spacecraft systems. The company offers guided tours of its facility and assembly lines, including the first Concorde. Having the international Toulouse airport so close by means that its vast range of passenger aircraft does not have far to travel from production to operational flight. 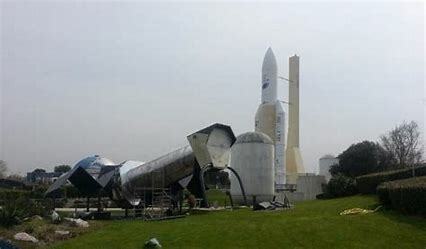 In keeping with the aviation and spacecraft theme, the Cité de l’Espace was opened in 1997 and boasts “Never has it been so easy to set out to discover Space and the wonders of the Universe”. With actual spacecraft and treasures from space, it allows visitors to train as if they were an astronaut, to make it rain or shine, travel to the farthest reaches of the cosmos, and uncover the secrets of space. 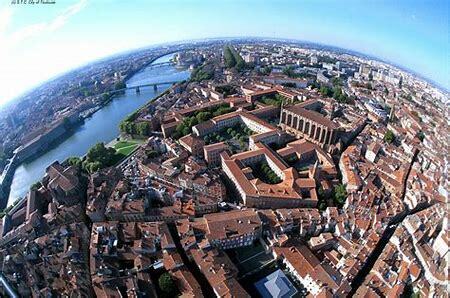 Lively and young at heart, Toulouse is France’s fourth largest city. La Ville Rose, as it is lovingly referred to, is probably best known for its outstanding buildings with ochre rooftops and rose tinted bricks. Why terracotta brick? You only have to look to the flat, sweeping landscapes that adjoin the River Garonne to see a wealth of clay and sand, the basic ingredients of the ubiquitous brick. In the huge central square, rose tinged three-storey buildings form a stark contrast against the 18th century neo-classical facade of the Capitole City Hall. With its 17th century courtyard and Renaissance gateway bearing the arms of Toulouse, this impressive building opens onto a marble statue of Henri IV. Inside the public area, art by the famous artists Jean-Paul Laurens and Paul Gervais decorate the walls. Upstairs, the Salle des Illustres displays Toulouse’s history in splendid style, including Laurens’ depiction of the defence of Toulouse during the Albigensian Crusade. 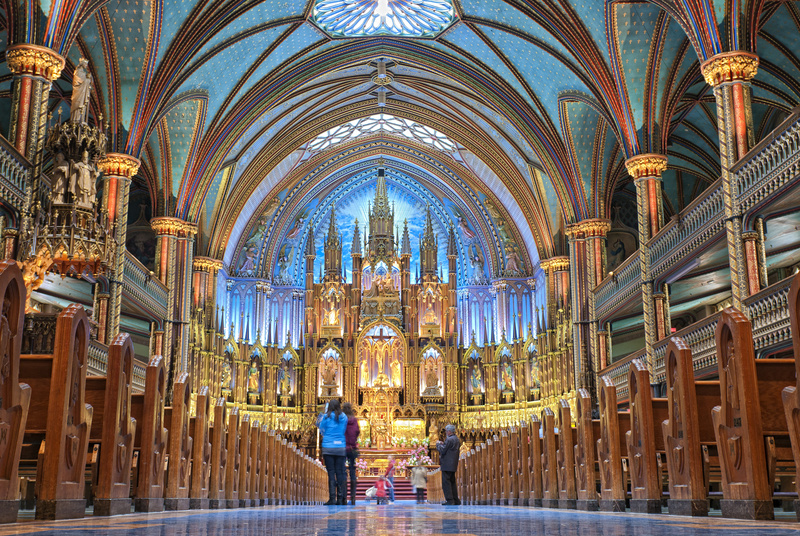 Other buildings of interest include the Couvent des Jacobins with its vaulted ceiling, the Cathédrale St Etienne with its 14th and 15th century stained glass windows, and Musée St Raymond which takes an historical tour of Toulouse from the times of the Celts and Romans. By the river, the Place de la Daurade hides a sunken garden complete with a map of old Toulouse whilst, on the opposite bank, the converted 19th century slaughter house, aptly named Les Abbattoirs, is now a permanent gallery for modern and contemporary art. 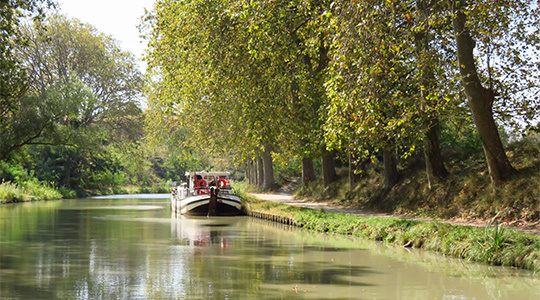 A bateaux-mouches trip on the river Garonne, or a canal boat along the Canal du Midi, or the shorter Canal de Brienne, will provide excellent viewing points for the stunning architecture, bridges and churches that line their routes. Haute Garonne has many more interesting places to visit. 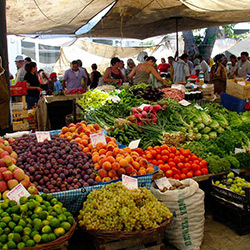 You will find a wide selection of other tourist spots, churches, hotels and events in our Business Directory and What’s On pages. Why not take a look, you can search under category type, town or region. Roses are red, violets are candied! 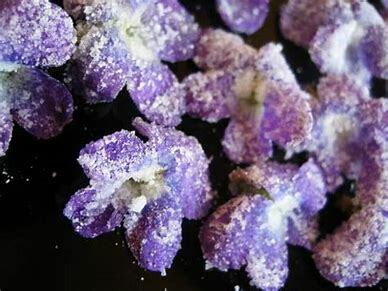 Incredibly popular in the 19th century, crystallized violets are in vogue today, particularly as a decorative item, and are incredibly easy to make. Start at least two days before you need them, though. – Cut 20 violets so that you have a good length of stem (makes for easier handling). – Place in a colander and wash them gently – you can use one of those fine spray mists to minimise damage, these are tender little flowers. Turn them upside down on a piece of kitchen roll and leave to dry. – Beat a couple of egg whites until really frothy – you don’t want them to be stiff. Pick up a flower by the stem and dip into the egg white. Give it a gentle swish around to coat it completely. It may need a gentle shake to remove any excess egg white, and then sift icing sugar over it, ensuring a smooth even coating (twiddling the flower can help at this stage). – Place the flower on a fresh piece of kitchen towel, sat on a plate, and continue with the rest. – Once all 20 are coated place them in the fridge for 24 hours. Remove from fridge and sit at room temperature for 24 hours. – Remove the stems and they are ready. If not using them straight away you can put the flowers into an airtight container for up to two months.